The Results Are In...EVERYONE WHO CHOSE THE AWESOME SURFER MOVIES IS GOING TO DIE A SLOW, PAINFUL DEATH. I'm not joking. ^How can you not adore them?!? Okay, actually James Darren is really annoying....and um, (despite whatever Kate says) The Big Kahuna is a just a creeper (sorry Cliff Robertson). 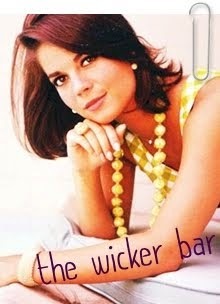 BUT SANDRA DEE IS STILL AWESOME! Obviously, there was something illegal going on because Teen/Awesome Surfer Movies lost with FOURTEEN STINKIN' VOTES. Guys, the word "awesome" alludes to the fact that the movies ARE AWESOME. Sheesh. I am also highly suspicious of the concentrated voting for those films RIGHT NEAR THE END OF THE POLL. But, most of my close blogging non-fleshies also have no problem with the surfer genre, so THE SEARCH CONTINUES. First, you guys hate happy, surfer teens....and now you hate all the wunderbar guns, and fighting, and such??! How can you do this to me? and melodrama. I hate melodrama. I voted for melodrama. Do not try to make me watch melodrama. He truly is his own genre. I posted him, because I just wanted to see if there was any Sir Alfred hater (is there such a thing) who would make his stance known anonymously by voting! Anyway, back to the slow, painful death. 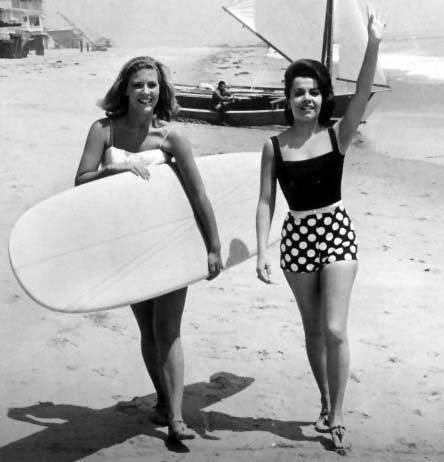 Because of popular opinion....I will be posting an awesome series all about surfer/dumb teen movies from the 50's and 60's. YOU GUYS ARE GONNA LOVE IT! I chose a photo at random...and THIS is what came up. Awww, this makes me so happy! Kate and I: DESPERATE FOR OUR PETER! The Millie (nor Kate the Awesome) find this very situation very agreeable. So, we were wondering if anyone in the blogger world owns any Peter films?! Anything you may have from an old VHS, maybe something you've taped off of the TV a long time ago, or perhaps you are a member of the Disney Exclusive Club and were able to get your hands on The Fighting Prince of Donegal....unlike the rest of us peasants? Okay, so really, I'm looking for anything (well, anything up to the mid 70's). 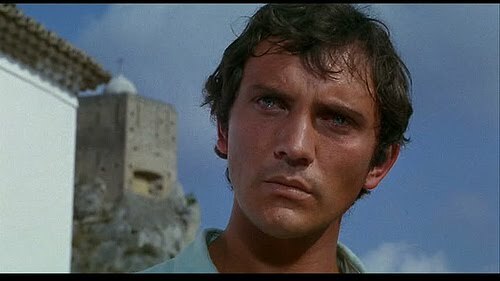 One in particular (besides the aforementioned Fighting Prince) I AM LITERALLY DYING TO SEE is Better a Widow (1968) (also starring Virni Lisi). If you have ANYTHING please contact Kate or I (I'm classicforeverblogger@yahoo.com)! I'd be willing to pay for it, or I'm sure Kate would be willing to trade you something (I love volunteering people for stuff without their knowledge! ;-D). 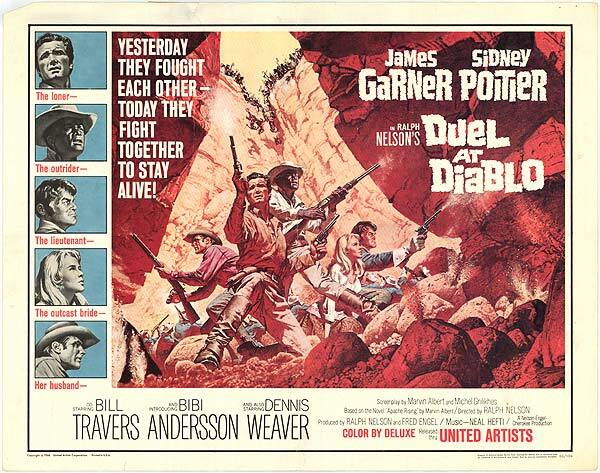 Duel At Diablo: James Garner AND Sidney Poitier. We are talking EXTREME coolness! Duel At Diablo is just brilliant. So, today I was avoiding cleaning my room and trying not to get sucked into spending hours trying to stump Akinator, the Web Genius (IT KNOWS EVERYTHING). Instead, I was doing something useful-- like scrolling through my personalized recommendations on Hulu. On about the 7th page it popped up with the message: You watched Alias Smith and Jones so you might like Duel At Diablo. I was quite excited. I have been wanting to see this FOREVER! 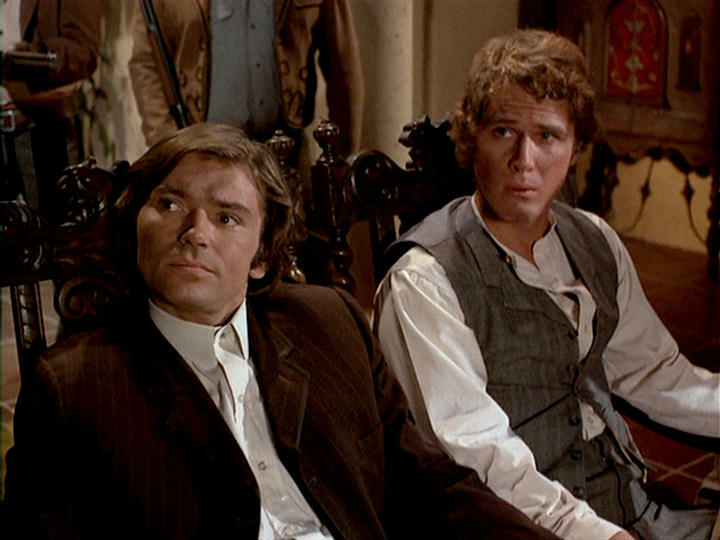 I mean: it's 60's, it's a western, it has two brilliant actors I utterly adore. How can it go wrong?! This (written by Neal Hefti) is already in my top ten movie scores. I can't stop listening to it. The score runs through the entire film. In that first scene it seems almost jarringly out-of-place, but it really fits the movie perfectly. It's a song played in every mood. It's played in victory and played in death; it just keeps playing. Completely captivating! I don't think any movie with Garner + Poitier can fail to be awesome! I just don't think the world works that way! 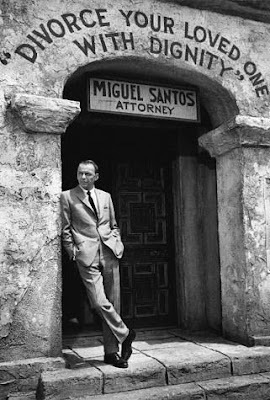 The sun rises in the East, sets in the West; bananas are yellow, oranges are orange; Garner + Poitier are always stupendously amazingly cool. 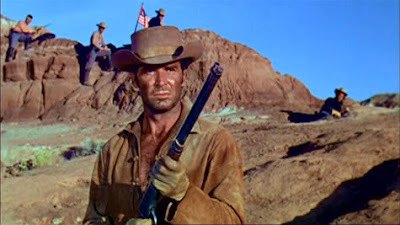 James Garner is one of those people who never give a bad performance. No matter what. They may have the worst role in the universe...but it still turns out awesome. In this he's just stupendously amazingly cool. And Sidney Poitier. Well, he obviously could never be uncool! I really particularly loved the role he had in Duel At Diablo. In the 60's, Poitier so often played the role of the "strong, moral black man fighting against racism and prejudice". This was obviously huge, important and necessary-- and he was ALWAYS great-- but I so enjoy seeing him in a film where he gets to just be cool; actually, his character was written in a way that it could have been played by anyone (except not really...because WHO could be as cool as Sidney Poitier?!). He's definitely the best-dressed man in the middle of any crazy battle against the Apaches. He can calm down babies instantly by just looking at them. AND HE PULLS AN ARROW (SHAFT AND THEN HEAD) OUT OF HIS OWN ARM WHILE STILL SHOOTING AND GIVING ORDERS. ---Guide to coolness. "Lots of white women have been grabbed off by an Indian, and many a decent one of them would have killed herself before she let them turn her into an Indian squaw." "My horse is dead and you're back - shoulda been the other way around." When he wasn't dead and there was only 20 minutes left to the movie, I began to get worried, but, no, there was no redemption for him. MWAHAHAHAHAHA! SPOILER ALERT: I'm not necessarily blood-thirsty or anything, but I actually went "hehehehe" out-loud when he was dying! END SPOILER ALERT! Oh my gosh, I almost forgot about Bill Travers as Lt. Scotty McAllister. He was really a stand-out. 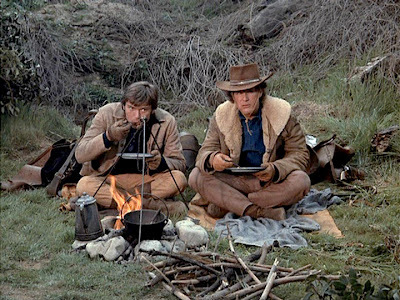 So often in westerns, it's the big stars who also happen to be the "outsider", "loner" characters who get all the coolness. And the Army guys are "old-fashioned" and DUMB. Not at all with this character! SPOILER ALERT: In fact, I was quite sad to see him go! By the end though, he had so many broken limbs, bullet holes, and arrows in him-- it was getting PRETTY IMPRESSIVE! I have this theory that, in westerns, any character who bravely rides ahead in battle, shouting victoriously, maybe with lance upheld...well, he's going to be either dead or insane by the end of the movie. Poor Scotty. He went insane and then died. Very sad indeed. END SPOILER ALERT! But really, that guy who played the second-in-command Apache-- well I simply CAN'T take him seriously. He's played a dumb headhunter on Gilligan's Island TOO many times. In conclusion, I just want to recommend this movie to EVERYONE. 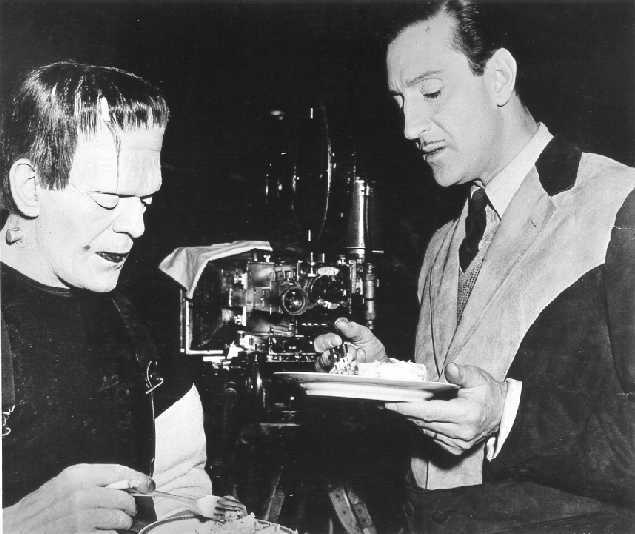 It's brilliance comes from the fact that it's not a normal good guy vs. bad guy western, but neither is it a "we must deconstruct/ruin everyone amazing about westerns" western. It's just cool. "One of the most unusual westerns ever filmed, Duel at Diablo deals with a number of clicheish situations in a refreshing, fascinating manner. More engrossing than entertaining, the intense emotion and delicately intertwined subplots are almost hypnotically effective in holding the viewer's attention. James Garner, Sidney Poitier and Dennis Weaver headline an excellent cast. Beautiful locations and an eerie soundtrack add to the overall power of the production. 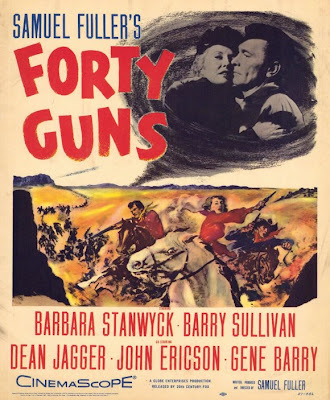 This film is probably too violent for many young viewers, but will prove a most satisfying experience for western buffs who prefer gritty realism to the more common shlocky horse operas. 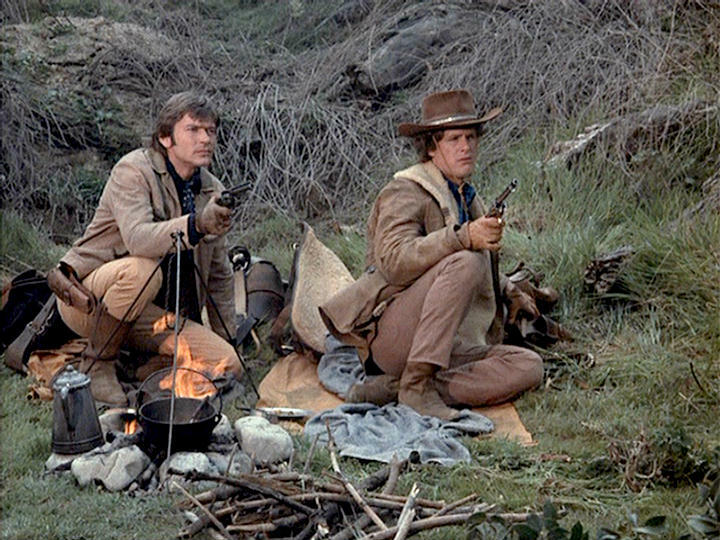 Duel at Diablo will never be found in a listing of top westerns, but it belongs there. 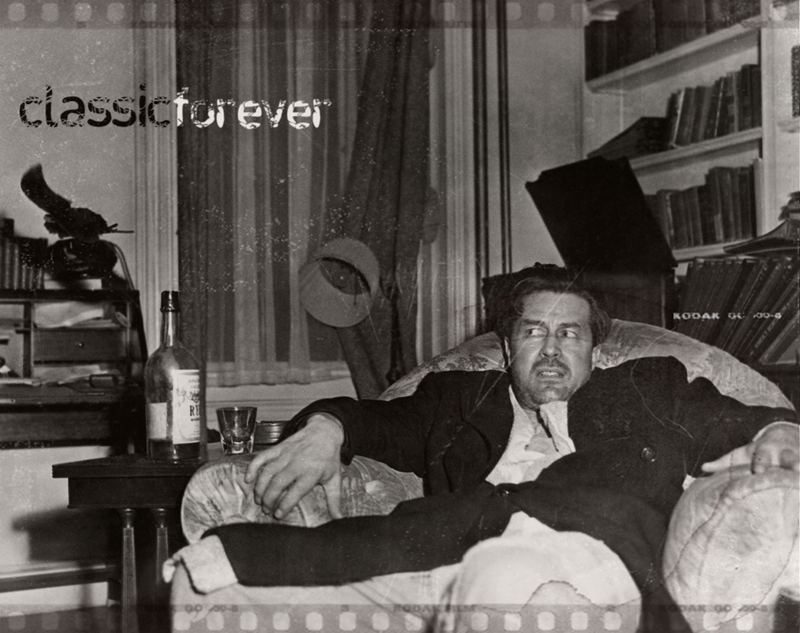 In fact, it holds its own in any movie library, regardless of genre." To all of you who have been voting for Awesome Teen Surfer Movies in my poll: The Millie is not pleased. Today is my mum's birthday! I simply couldn't let is pass without writing how positively Wowzie Kazam she is! 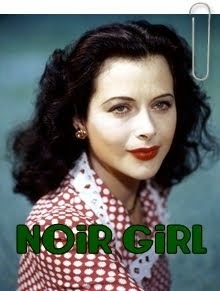 She is THE complete reason I ever started watching classic movies! 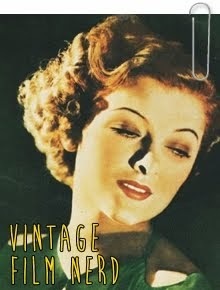 In fact, she watched Pride & Prejudice (1940) with me the very day I was born! And of course, she buys me bazillions of classic movie books and DVDs for birthdays and Christmas'! What you should probably be deriving from all this, is that she's a pretty stupendously amazingly cool mother! 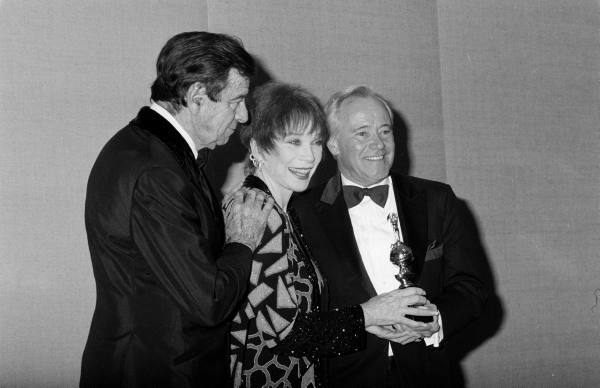 And she brought me up to know that Columbo should be adored only slightly more than Peter Paul and Mary-- but not more than Alfred Hitchcock! In fact, I still have the best memories of sitting around with my sibs listening to her read to us for hours; reading us history books, or Dickens, or Austen, or James Herriot, or Indian in the Cupboard, or James Marshall and William Steig! And, I'll never forget her making us listen to classical music while we did our math. Handel's Water Music is synonymous with algebra. Well, I really don't know what else to say about my mum! She's just that awesome! Not to sound cliche, but I really DON'T know what I'd do without her! I'd probably be off sitting on a couch somewhere, watching Brady Bunch reruns and eating candy. Anyway, I love you Mumzie! You're the best mother ever! P.S. 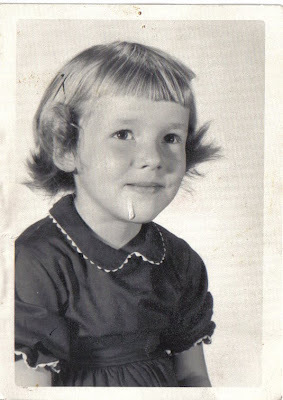 The thing on mother's chin is just from a rip in the photo! I'll see you guys again on Saturday! ^I love how many grammatical errors occurred in that sentence! ^Hopefully, we won't need to shoot anyone down! BUT, HEY, NOBODY HAD BETTER TRY TO STEAL OUR CAMPING SPOT! THE EVIL MANGO SONG IS OUT TO GET ME! Okay, so, in Dr. No. There is that slightly hypnotizing, kind of bordering on annoying (but not quite) mango song. I HATE THE MANGO SONG. 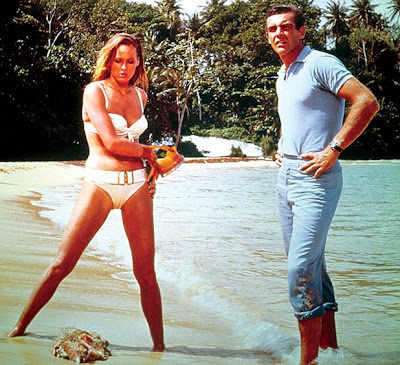 I don't remember the last time I saw Dr. No, but that song still gets stuck in my head at random moments! IT JUST APPEARS IN MY MIND! And then I can't get it out! And plus I can only ever remember like the first line! I know that they made that entire movie for the sole purpose of getting that song stuck in everyone's minds! They stinkin' play it throughout the whole movie...people sing it, play records of it, listen to it on the radio...SEAN CONNERY SINGS IT EVEN! I mean, WHAT?! Anyway, I was out shopping today, and the song suddenly popped up in my mind! I couldn't get it out! And you know what I ended up doing?! Buying mangoes, mango yogurt...AND MANGO LEMONADE! I don't even like mangoes! That song really does have evil powers-- so you really probably shouldn't click play on the video below. REALLY! It could be bad! 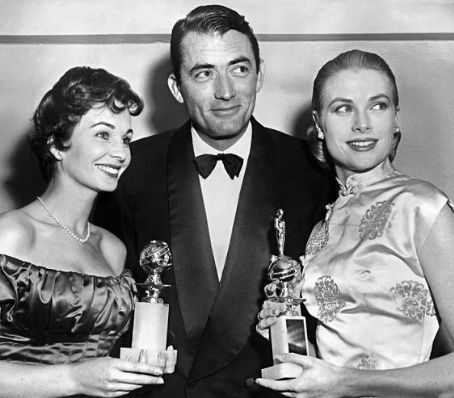 Jean Simmons, Gregory Peck, and Grace Kelly. 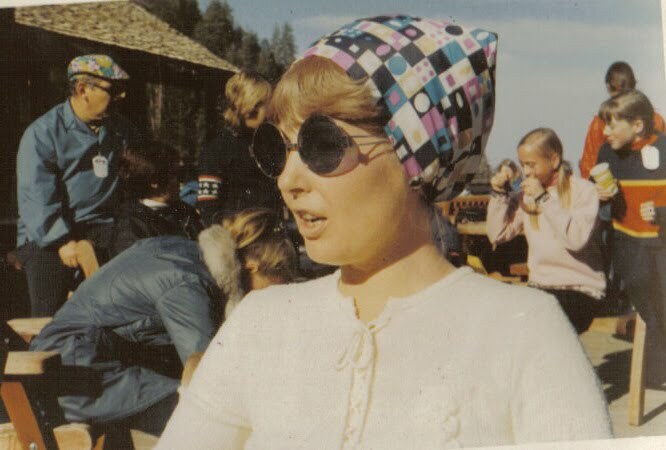 My Grandma being waaay too cool...in the 70's! 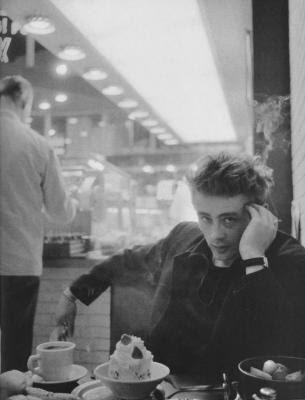 ^James Dean enjoying Matthew's birthday cake! James is Matthew's ABSOLUTE favorite actor...EVER! The completely awesome Matthew Coniam of Movietone News celebrated his birthday on June 20th. But, I wanted to be sure that he did in fact get wished happy birthday by me...no matter how long it took! Haha! Matthew is just completely cool. His blog is HILARIOUS! Also, he is a really great writer. And extremely knowledgeable! 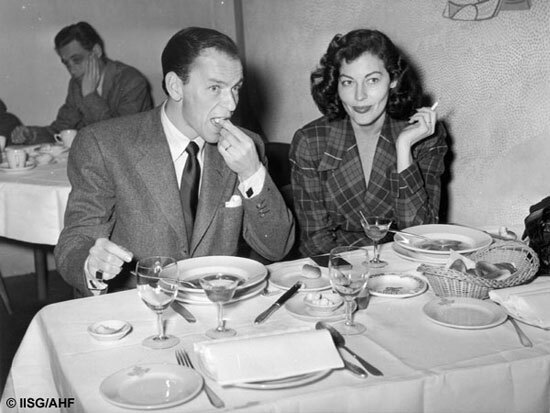 I always learn something new about film or actors after visiting his blog! And he says things like: "A pox on the lot of them!" I mean, SERIOUSLY?! That's automatic coolness. Anyway, Happy Late Birthday, Matthew. You are stupendously amazingly cool! And, I hope you have many more wonderful birthdays! I was super-excited to see this film! I had put it on hold at my library, and it came in today. I was already planning on watching it very soon, but some occurrences at dinner made me watch it RIGHT AWAY! My family was watching Leave it to Beaver. Beaver rescues a random, floating canoe and brings it ashore. When it's owner shows up to collect it, he explains, "My daughter must have not tied it up well....you know how girls are!" Zach: Why did the lady cross the street? Zach: That's not important! The real question is....WHAT WAS SHE DOING OUT OF THE KITCHEN?!" 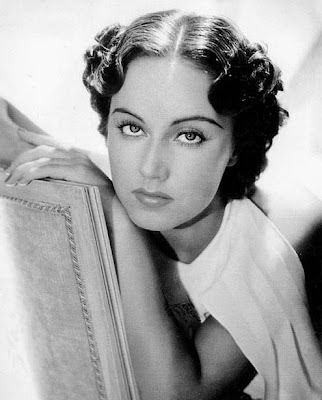 Me: .....Tonight I am watching a Barbara Stanwyck movie...where she kills all the guys. And, that's what I thought I was putting in, but, the film, clocking in at only 79min....hardly gave The Stanwyck time to kill EVERYONE! 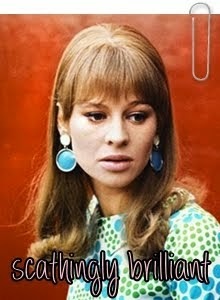 But, still, she was beyond cool! In fact there were a couple of cool actors in this! Gene Barry.....BAT MASTERSON! Heck yeah! Gene Barry + western ALWAYS means coolness. John Ericson. 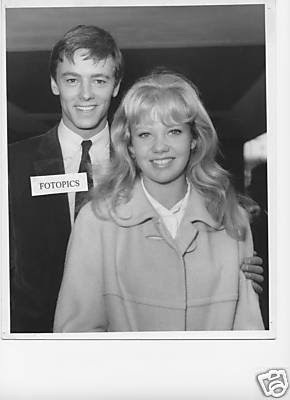 Honey West's partner Sam. I'd never seen him in anything besides Honey West (which is complete awesomeness), so I was quite curious! But, he's sooooooo boring! Seriously! Oh, I forgot about Dean Jagger! He is brilliant as usual! Although, it is a terrible fault of mine, that whenever I see him in anything I immediately start singing: "We'll stay with the old man, wherever he wants to go..."
The Stanwyck was IN CHARGE. Then other stuff happened. There was Gene Barry. There was a blind US Marshall. It was all cool. Then, John Ericson showed up! I was like, "YAAAY! It's SAM! *30 seconds pass* oh. um. he's a psychotic killer. wearing rather odd striped pants." Then a lot of other stuff happened! The movie was going along quite nicely! The Stanwyck did a crazy stunt (being dragged around on the ground with one leg still hanging on the horse). Apparently, she didn't think the stuntman looked very convincing. So, SHE DID IT HERSELF. Really, I was enjoying the movie! 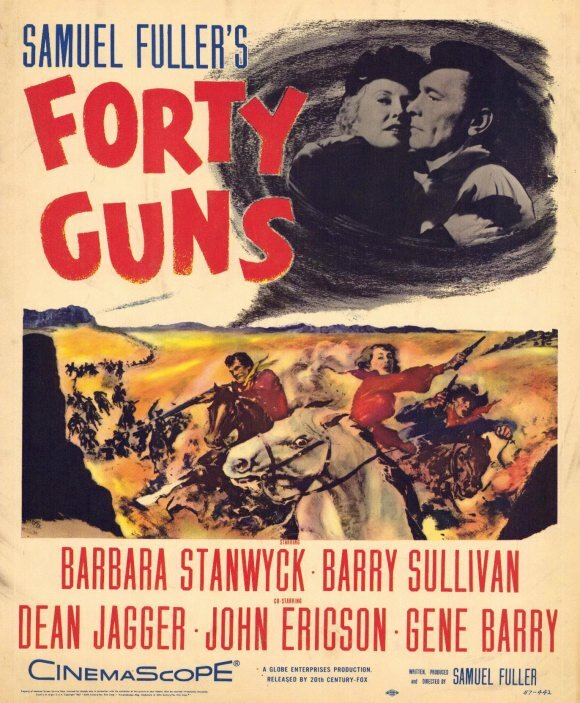 All-in-all, a nice, little western. Then the last ten minutes happened. This made the movie INSTANTLY UN-REWATCHABLE! This is what made me go, Wait...WHAT?! I will NEVER forgive who decided it would be a good idea to kill Bat Masterson AT HIS STINKIN' WEDDING! Why couldn't they have killed off the other brother! The REALLY annoying one-who-shall-remain-nameless (because I can't remember his name)?! Huh? Is that TOO much to ask?! My favorite part is either John screaming "I'M KILLED! I'M KILLED!" (just like my brothers and I used to when we were "playing" fighting!) Or Barry nonchalantly walking past the bodies and saying, "Get a doctor...she'll live." without even stopping to glace at them. Cool. Anyway, I rather liked this movie! It had great actors, interesting (at times a bit "surreal") camera work, and just over-all odd coolness. The last ten minutes left A BIT TO BE DESIRED. But, still, it was really good! I'd recommend it! ^This credit actually made me rather laugh. I kept thinking, "It's SAM'S! And NOBODY had better touch it!" 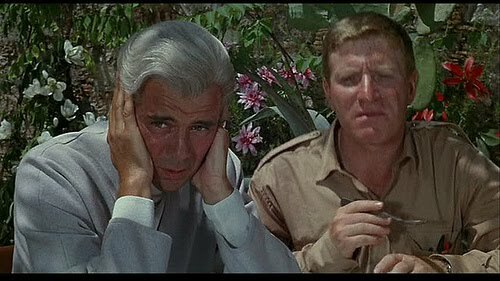 Not even food poisoning and a hole in my toe could keep me from being mesmerized by the brilliance of Modesty Blaise! Earlier, I accidentally stabbed myself in the foot with a pitchfork thing. (Don't ask!) There is currently a hole in my toe. Then, I got food poisoning from my dinner. I don't even know why everything is ALWAYS STINKIN' HAPPENING TO ME! Anyway, I did remember that I had Modesty Blaise from the extremely Wowzie Kazam Kate! She actually e-mailed me the movie! It was like my own Netflix Instant Watch...except it took my computers several hours to download, during which time I fell asleep. But, anyway, that was a couple days ago! I hadn't been able to watch it since, because my parents were both gone, and I had to "watch" my younger brothers. 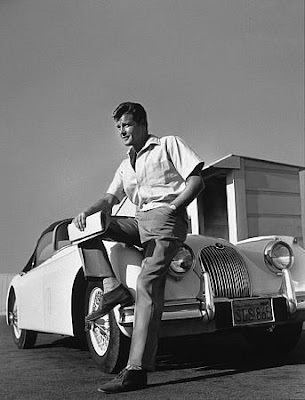 BUT, tonight, I finally had nothing to do-- but feel sick and stare at the hole in my toe...so I put on Modesty Blaise. The cast was AMAZING! 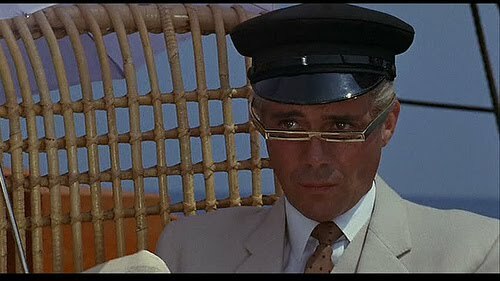 But, Dirk Bogarde completely stole the entire thing as the awesome super-villain. He was over-the-top, hilarious, and GENIUS! Monica Vitti (Modesty) and Terrence Stamp (Willie) were also pretty cool...mainly because they burst into off-key song right in the middle of battle. Also, Monica had impossibly cool clothes! Gosh, this whole movie is just too much amazingness for me to explain! Really, you must watch it. Very soon. Most Quotable Line (as in: line I will probably begin to quote often at random times): "How can I eat lobster.....when the lobsters are eating Borg?!" And if, by some chance, you're not convinced yet (I don't know WHY you wouldn't be...after this MOST thorough review! ;-D), you really should watch this video Kate made! IT WILL CONVINCE YOU! And even if it doesn't (because you are-- I DON'T EVEN KNOW WHAT), you'll still have the song stuck in your head for 3 days! MWAHAHAHAHA! Well, I guess that's all. This movie is so amazing...I just want to go watch it again! P.S. ALL the screencaps were "borrowed" from Kate!